Ever farted in a lift? You know? A wet, triumphant, malodorous one? With a captive audience, expectant mothers about to faint and so on. Don’t deny it, I KNOW you have. So I also know that you know what it is like to be the least popular person in a confined place with no possibilities for plausible denial. Following from that, you have a strong sense of the atmosphere in the CZ newsroom when I declare the CSM to be the monstrous carbuncle it clearly is. Criticising player democracy in CZ Central is like telling your child that the beautiful doe eyed puppies they wanted for Christmas are the spawn of satan. It’s a subject best avoided. To be fair they have a point. I mean there I go spouting off in environment where it is positively heaving with former, present and hopeful CSM victims. These people have dedicated their precious time in one way or another to this institution only to have this mouthy imbecile dismiss their service and dedication in an instance. It was never going to go well. And then brother Danikov decides to go nuclear and kicks me in the shins with an excellent piece on reforming the CSM. Ouch. So here I am, Kong Nomates, dressed up with my pitchfork but with seemingly no place to go. Well that would be the traditional narrative. And that right there is the problem. Did you see it? No? OK, I will try and explain. There are a number of ways we can slice and dice this so we need some ground rules to begin with. Given their nature, it’s best to try and keep the points of contention focused. Firstly, let us concentrate on the “institution” rather than the individual personalities involved. The CSM has been running long enough to enable us to gauge all the behavioural baggage that they will surely bring to the show. Pointing fingers and victimising these poor creatures is just a bit too easy and frankly gets us nowhere. We already know what they are capable of. Secondly, we should accept that some CSM members are diligent and committed to the task. There will undoubtedly be some worthy candidates for the role this year too. Right, with that out the way we can get into the juicy stuff. When we consider the merits of the CSM it is natural to buy into a number of assumptions, some of which haven’t been tested for years. These assumptions are so ingrained that is hard to substantiate them in the context of the traditional debate. They are seen as fundamentally resolved and therefore overlooked. It is something I have done myself on several occasions and it requires a bit of a paradigm shift, or at least a temporary suspension of disbelief, to force yourself out of the habit. What do I mean? In a sense, we try to address the follow-up question without asking the primary question. If there is one uncontentious statement you can make about the CSM, it is that CSM members are elected from a ballot of Eve players. We can argue about the degree of perfection of this process and the outcomes it produces but it is no less democratic than the systems in many developed nation states. Unless of course you consider calling someone “Lord” democratic. Now, this is distinctly odd. Why? Because we as customers already have all the democratic power we need at our disposal. If CCP displeases us we can stop playing and/or unsub. If CCP gets it right we can resub, play more and invite our friends to join us. It is democracy at its most brutal but it is a language CCP understands. Their jobs depend on it. Actually, I had better qualify that because that hasn’t always been the case as we know. But the question remains, why would we need to have an additional heap of democracy stuffed into the mix? The answer is we don’t. “But what about Incarna?” says you. Yeah you can’t talk about the CSM without digging that up again, so let’s try and put this one to bed. If there were any real justification for the CSM then Incarna would be it. This was the CSM’s moment of triumph in what has otherwise been an inglorious history. A moment where it collectively conducted itself in a manner that it is probably not capable of doing now. I am referring to the accord reached at CCP’s special summit that resulted from the events leading up to, and including, the Incarna release. If the CSM had any purpose now it would be on the basis of the accord or something similar rather than the new white paper. This is how democratic institutions evolve. However, the fact remains that subsequent CSM’s and CCP have never felt beholden to the accord and it is now meaningless. The same can be said about the new white paper as the existing CSM haven’t collectively endorsed it. So it like the accord, it is also fiction. The key point of the Incarna episode was it was a culmination of individual events, each of which should never have happened if CCP had been properly attuned to its customers. Like the Challenger disaster, all the warning signs were clearly visible to CCP. The Vasa syndrome was strong in Reykjavik and a crisis point was inevitably reached. Unsurprisingly, if a company chooses to ignore its customer base market, democracy kicks in. Late in the day, (but sadly not early enough to avoid a future 20% reduction in staff), CCP recognised this and called special summit with the CSM. If the CSM hadn’t existed then CCP would have contrived a scenario that was equivalent. These were desperate times and any port in a storm will do. That is not to deny the hard work and stress the participants must experienced at that event. However, it was just a plot device. What the CSM couldn’t do then and still can’t do now is stop CCP making a succession of bad choices that lead to a crisis. Nor should it. Only CCP can fix that. The CSM’s role then was to merely inhibit the democratic fail cascade and buy time for CCP to get its act together. So a useful propaganda tool to show that CCP was/is now listening but never something that had to be listened to. Look again at that video I linked. Who is bigging up who? No democracy here folks, just plain old smoke and mirror appeasement . So much for nostalgia. Fortunately, we live in simpler times. The culture at CCP is different. While they might not always be perfect, sub-optimal decisions get rectified quickly, bugs get fixed, player expectations are managed and the communication to the player base is on a level that isn’t seen in many other games. If Aegis Sov taught us anything, it was that the moment and need (if there genuinely ever was one) for the CSM to shine has long gone. Sure there were howls of anguish, but the sky didn’t fall in did it? So why is the CSM still here? Two reasons. Firstly, it’s awkward. Having dressed up the CSM as the bridge of trust between players and CCP it is never going to look good if you are the one to pull the plug. Having given the CSM a layer of credibility, CCP has put itself into the awkward position of having to notionally work with it. So we have the pretence that CSM is an advisory body where Devs queue up to have the results of their toil rubber stamped by the combined intellect of the great unwashed. Now I can’t remember the last time the CSM produced a collective thought. And as CCP Leeloo made it clear in her interview on this site, the onus is on the individual CSM members to go out and try and lasso a herd of devs and hope they pay attention to their concerns. Fine if they are not busy, but when does a dev ever say they are not busy? What is clear is that CCP doesn’t feel the need to come to the CSM as it did during Incarna. Just checking, yep the sky still hasn’t fallen. Besides, we all know that when devs really need user input, they go to players who they know and trust, whether they are in the CSM or not. It could be through individual relationships they have formed over time or perhaps the newly formed, if slightly misfiring, focus groups. So the CSM isn’t needed to perform this role either, and from some accounts, pretty much hasn’t performed it since Eve Vegas. And now we are into the election. Actually, we have been in it since September last year before CSM X was barely halfway through its leaky term. 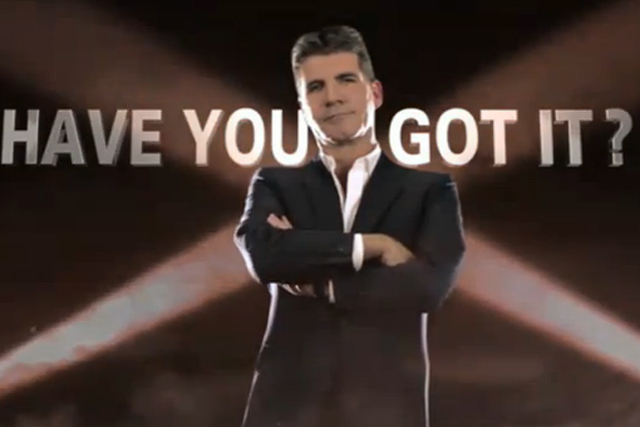 This was when the first of this year’s clutch of candidates put themselves forward for Eve Xfactor. 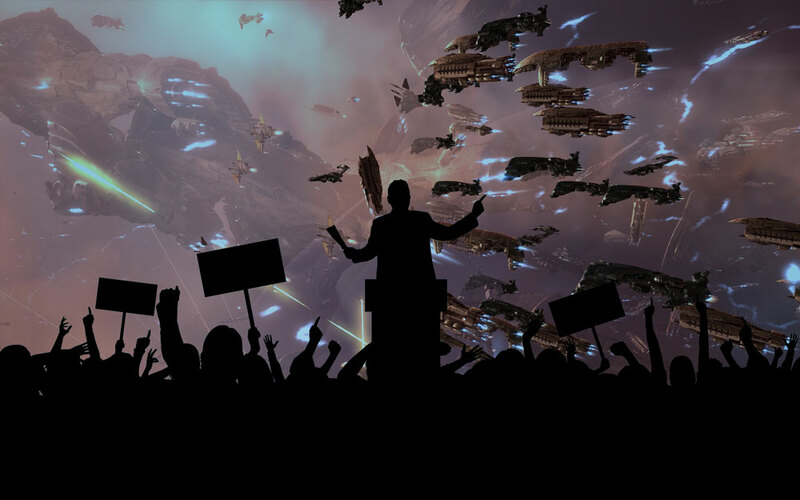 If it is anything like last year, there could be 70 plus candidates auditioning in front of Eve’s Simon Cowell, AKA CCP Falcon, for the opportunity to perform. It’s a little bit desperate isn’t it? No matter. Those that get past this hurdle and aren’t called Gevlon Goblin are put forward for us to humiliate or endorse (or both). But then it gets even better: We get to vote! We can actually choose who we want to put in the Eve Big Brother house in Reykjavik! We can them watch them for our entertainment as they do contrived tasks to make them look busy. Then we can see them get all grumpy with each other about it. And because they are celebrities, they always have something to be grumpy about. Just go to the #csm Tweetfleet Slack channel with some popcorn and you can enjoy past, present and budding future CSM candidates slaggin each other off. What you won’t see there is any engagement with the voters or their needs because that is exactly the kind of annoying detail that spoils the show. So as you might have gathered, in my flatulent opinion, the CSM has no role beyond being clickbait and boy does it excel in that role. For that reason, all things being equal, we are stuck with it. Deeply depressing (or entertaining depending on your perspective) as that is, could we possibly hope for a change? In parting, I offer you the following. For reasons that are not entirely clear, Luobote Kong is an anachosyndiclist carebear explorer. Born in 2013, he can be found, or perhaps smouldering bits of him can be found in any part of New Eden. Yet to kill anyone, he wonders if New Eden was the solution, then what was the problem? He occaisionally puts his findings into words or music.